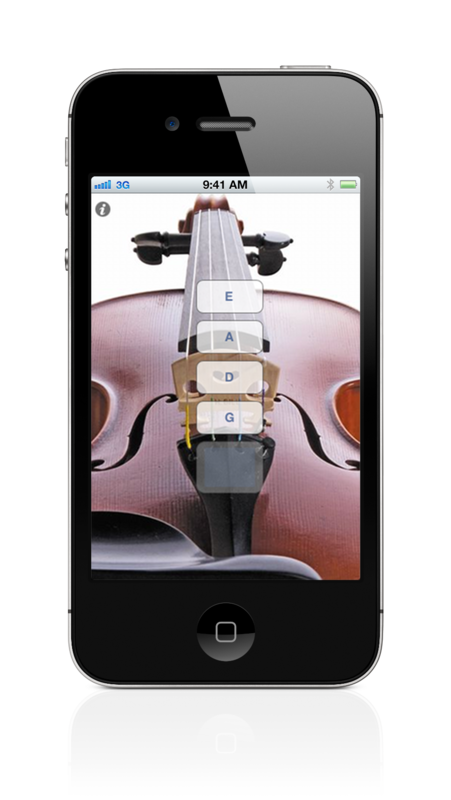 Simple violin tuner to tune up your violin. This is for a standard violin, in GDAE tuning. Tuning your violin can be a difficult task for you if you are just beginning violin. The good news is, the more you do it, the easier it becomes. 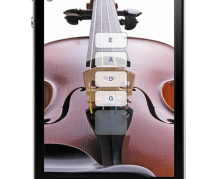 A nicely tuned violin can make your music sound a lot better and help you greatly while you're are just getting the hang of finger placement for notes. 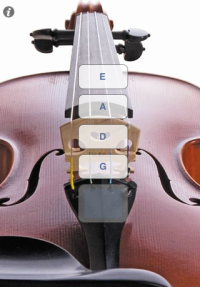 Touch the note for the string you want to tune and then turn the tuning pegs on your violin and match it up with the note that is being played. Use your tuning pegs at the top of the violin to get close to the correct tone, and then use the tuning pegs on the bridge to do the fine tuning. Caution: If your violin is extremely out of tune or if you are replacing the strings on the violin, and tuning it the first time, you have to be careful. If this is the case then tune each string a little at a time and then go on to the next string. You want to keep the tension on each string fairly equal. 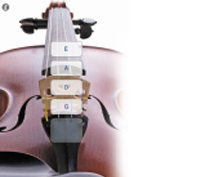 The bridge is not glued or attached to the violin, it is held there by the tension of the strings. If the tension varies too much it might cause the bridge to collapse. Also while you are tuning pay attention to the bridge, it should always be perpendicular to your violin and be straight, not angled. Requires iOS 5.1.1 or later. Compatible with iPhone, iPad, and iPod touch. Or OS X 10.7 or later.